p.s - I've read the cold weather service bulliten on here and I don't think it applies right now as it's 98 degrees here in Oklahoma. '02 F-250 Silver 7.3 4 door auto - AFE intake, 4" exhaust, 6 pos. chip, isspro gauges, trans. modulator, wicked wheel, bilstiens. 2011 f250 XLT 4X4 Crew Cab. Ditto what Cool said - had the same problem after pulling a mountain pass and puking some fluid. Went to back up and it would die. Filled it up, and problem vanished. 2004 Jayco 325bhs 5er - no mods....YET...can you mod a 5th wheel trailer???? 2001 Yamaha V-Star 1100 Custom. Cobra Power Pro 2 into 1 exhaust, SS Custom 420 Cams, Dyna3000 ignition, K&N pods, jetted, saddlebags, floorboards, sissybar, and a rear rack. Just give it a twist and hang on! Let me know what you come up with. I'm have the same problem right now. It first started dying making a complete stop. It did it three times. Now it does it only in reverse. Doing research I haven't found out way its doing it. Talked to AAMCO they don't know why untill they pull it apart-$1000 to start. This weekend going to drop the pan and check the filter to see if any metal. I called Brain but he hasn't return my call yet for a new transmission or an easy fix. Any infor I'll find out I'll let you know. 2000 F-250 XLT, Ext Cab, 4x4, Auto, 3.73, Triple A-pillar w/Phantom AutoMeter Gauges, ZooDad W/6637 mod, Dp Tuner-80 hp Economy, Airlift Airbags, Home made bug guard, 4" MBRP turbo back exhaust, Tru-cool and Shell Leer 100LE. changed/flushed trans. filter &amp; fluid - no difference other than it seems to be stalling/ dying at approx. 200 RPM higher. Sounds kinda like a converter huh? Mine is not stalling at any time but is having trouble finding gears once it runs for a couple minutes and loses gear going down the road. From the research I have done I think it may be the torque converter clutch solenoid. I have found some information where this was the problem for the same symptoms you are describing. Are you having any other problems with it finding gears or slow to go into gear? p.s. trans. was ready for a flush anyway. Glad you found it. Those kind of things can be a bear. Mine is not stalling at any time but is having trouble finding gears once it runs for a couple minutes and loses gear going down the road. 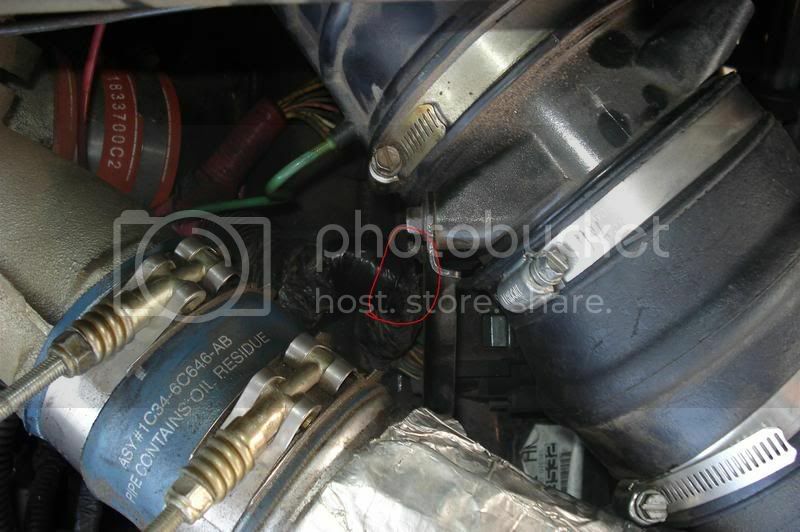 From the research I have done I think it may be the torque converter clutch solenoid. I can't imagine how the torque converter clutch solenoid could in any way affect how and when the trans selects gears. It's not involved in that at all. You could have a pump problem, or an internal leak, or a wiring problem to the other solenoids, or even something I haven't thought of. But the TCC? I can't see that being the problem. Resurrecting this old thread to report that it helped me fix an intermittent performance issue with my '01. When I bought my truck a few months ago it usually ran great. Every now and then it would start running poorly, down on power, can't maintain highway speeds, and blowing a little white smoke out the exhaust. Usually my basic troubleshooting of unplugging the DP Tuner corrected the problem. This week on Monday though, when I was headed home the truck would barely hit 55 mph. The was hardly any boost being generated and the egt's were real low. I parked it and borrowed a car from work to go home. The next day it ran fine at lunch so in the evening I tried driving it home again (I commute 65 miles one way). The first couple of miles it ran great but then it would start running rough and then the Wait To Start, Check Engine, and Water In Fuel lights would all come on. They would go out and the truck would start running good again. This cycle kept on happening off and on so I parked it again and borrowed the work car once more. I came home and started searching my symptoms and ran across this thread. I came back today and looked at the wires and bingo!!! The insulation on the orange wire was worn through and was shorting out on the valve cover (the paint on the cover was also worn through showing bare metal). A black wire was starting to wear through as well so I taped them both up with electrical tape and then tapped up the entire wire bundle to keep it from happening again. I plan on getting some plastic wire loom material and add it to the wire bundle like it should have been from the factory. So far the truck is running like it should. Great information found here and Google is definitely my friend. 2001 F350 SC LB 4wd, 7.3 PowerStroke ZF6 transmission. DP Tuner Infinity nDash. Ported turbo housing, billet intake plenums, cold air intake, 4" turbo back exhaust, AIH delete, fuel bowl delete kit, regulated return fuel system, oil rail crossover.